Smartphone apps are supposed to make life easier, to solve daily challenges. Apps help us connect with friends, track our steps, keep us from getting lost and find cheap tickets to our favorite entertainment. So it’s no surprise that now there’s an app to help us deal with so-called Fake News. You may have seen the ads on television for Smart News. The ads feature a graying baby boomer man, minus the MAGA hat, saying he only watches news he agrees with. Then he’s answered by a smiling millennial, cheerily announcing that she gets her news from social media. Like many apps, this one has a bug, but the bug can’t be fixed by programmers with a new release. The bug is in the concept. News does not have “sides.” News has facts. Different news organizations may report a story with different quotes, examples or focus, but news is based on the same set of facts. No app will help readers who don’t understand the difference between news, analysis and opinion. News organizations report stories based on facts, but they also offer analysis and opinion. News is presented by reporters and editors who adhere to ethical principles that value fairness, clarity and truth. That doesn’t mean journalists never make errors…they do…and their ethics code requires they correct their mistakes. Analysis is written by reporters or others with special expertise or experience that help them give readers insights to what’s happening and why. Opinion comes from many sources. Editorial boards or editors often offer opinion pieces to spur discussion and start a conversation. Columnists share their opinions to challenge or dispute conventional thinking. Readers submit letters to the editor. Whether news, analysis or opinion, the writing should be based on facts. Sometimes those facts make people question their accepted reality. 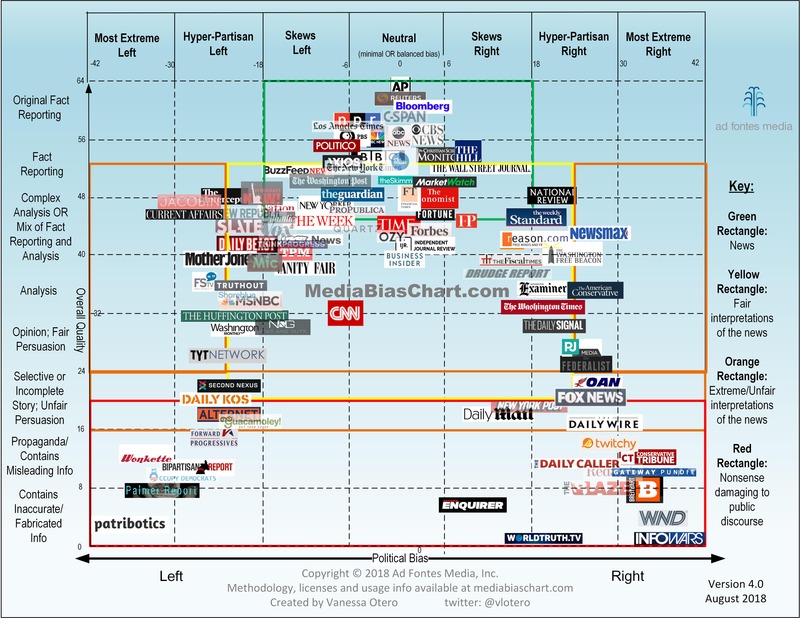 Rather than looking to Smart News, look to trusted news brands. Locally, the reporters and editors at the St. Cloud Times, WJON, the Star Tribune, MPR and the Newsleader adhere to ethical, fact-based reporting and opinion. Nationally, subscribe to the New York Times, Washington Post, Wall Street Journal and read the Associated Press, Reuters and Bloomberg online. Watch the major broadcast networks and CNN and MSNBC (in the daytime). Stay far away from Daily Kos and Occupy Democrats on the left and Fox, Breitbart, InfoWars and the Daily Caller on the right. Even though print newsrooms and print editions have shrunk significantly in the last 10 years, they still have the biggest staffs and most experienced reporters (and in Minnesota, MPR joins the group of strong newsrooms.) Watch any broadcast or cable news coverage and you’ll see their coverage driven by stories produced by print newsrooms and their affiliated websites. Stay away from social media as well. Social media is great for sharing photos of your cat or sending your friends a delicious recipe. But it’s not the place for news. As we’ve recently seen, social media is a good place for mischief when it comes to news. Saying your news comes from social media is like saying your food comes from the grocery store. When it comes to food, farmers are the true, trusted source and when you are looking for news, go to the trusted brands and leave apps for finding cheap hotel rooms and Uber rides.